There is a nut and berry breakfast bar recipe in the Rawvolution book (posted to my Facebook page before my blog was created) that I have used to make berry balls. I like this format instead of bars because they dehydrate faster, you can make different kinds at the same time and they can be dehydrated alongside crackers or cookies by filling empty spots on trays. Plus, they're more fun to eat and are child portion friendly! "Pecans rank highest among all nuts and are among the top category of foods to contain the highest antioxidant capacity, meaning pecans may decrease the risk of cancer, coronary heart disease, and neurological diseases such as Alzheimer’s." Find out more about the healthful benefits of pecans here. I recommend using frozen raspberries and placing them in the freezer once processed into bits so they remain "hard" instead of becoming mushy. This makes it easier to form balls. In a large mixing bowl, mix together ground pecans and raspberry bits then place in the freezer. Blend (or process) the dates with their soaking water. 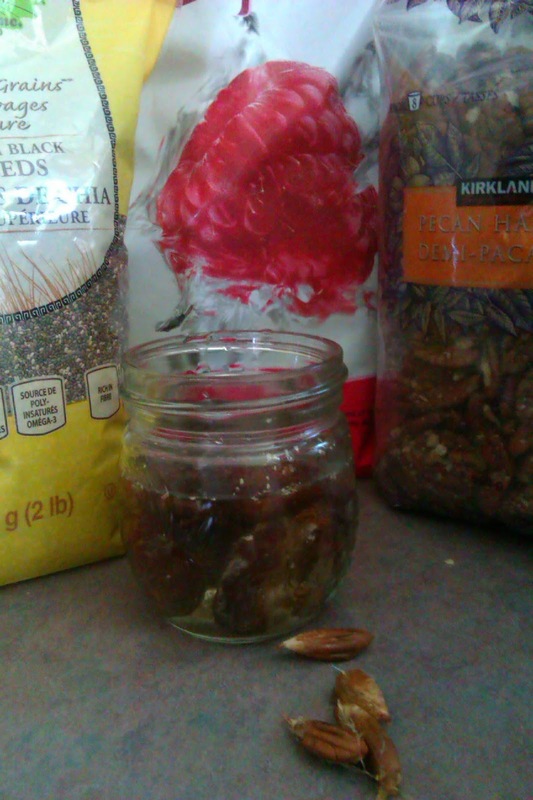 Mix in the chia seeds, they will absorb all liquid. 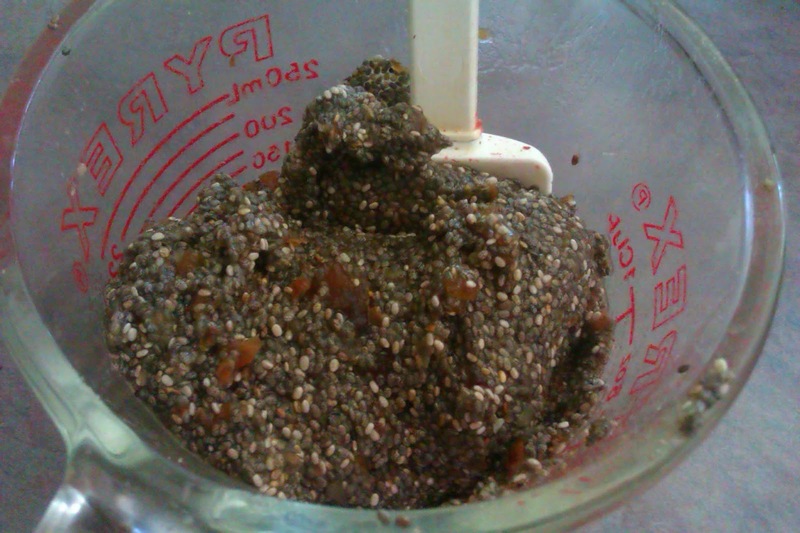 Add the chia and date mixture to the large bowl. 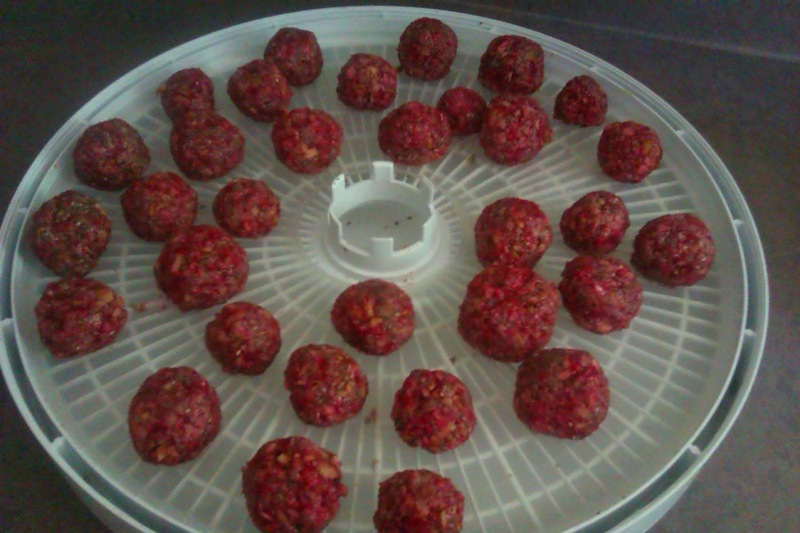 Mix thoroughly and form balls with your hands. 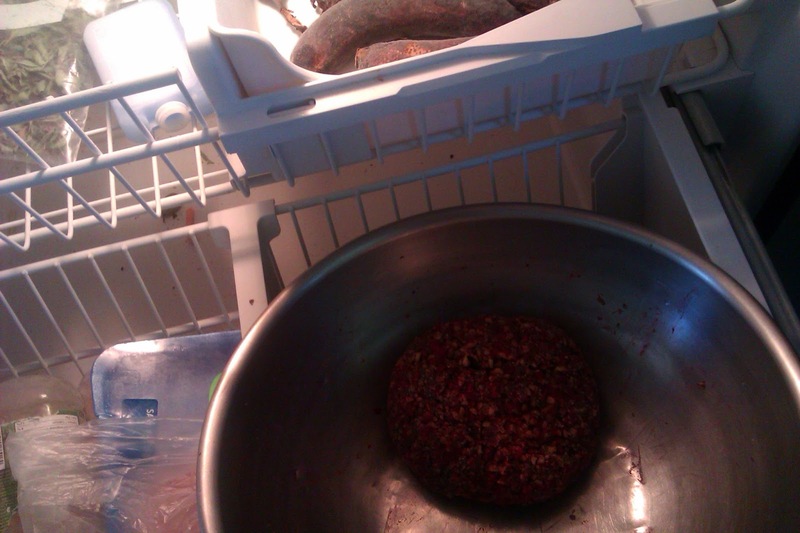 Place in the freezer when the phone rings... or to hide if it's a surprise! Dehydrate for 24 hours, producing slightly soft and chewy Raspberry Pecan Balls! 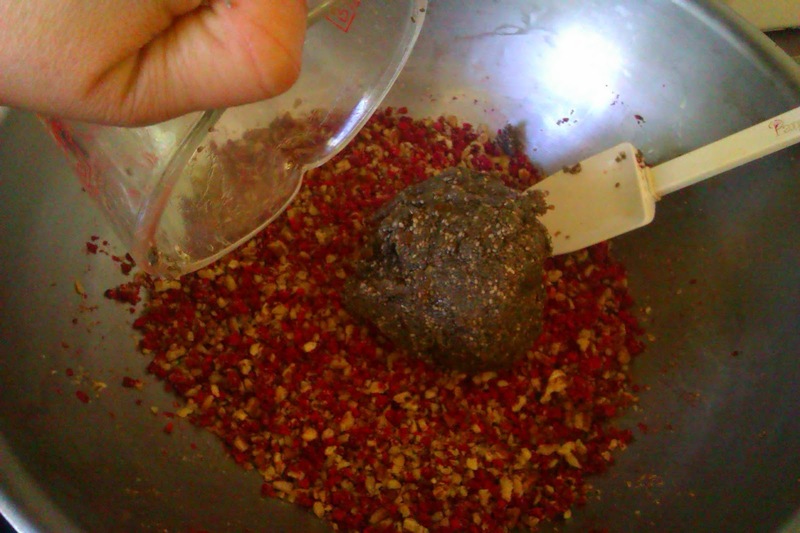 Maybe I should have called these: Raspberry Pecan Power Packed Antioxidant Balls. Fun to note: this recipe was inspired by a salad we had for supper alongside smoked trout a few days earlier in June: we had spinach, parsley, raspberries, red onion slices and pecan pieces with a simple vinaigrette made of olive oil, maple syrup and raw apple cider. 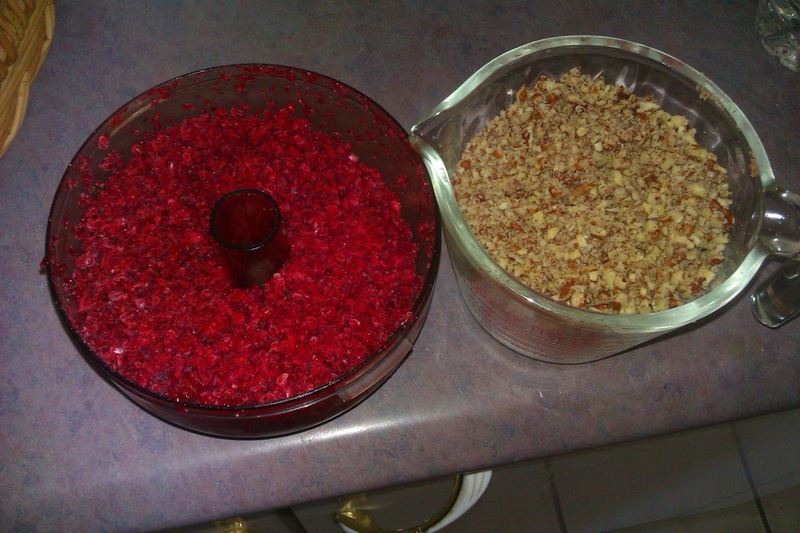 Together, raspberries and pecans do make a lovely duo! What raw pairings do you enjoy most?